with the magic of ANTHONY WHITE! or large group gathering with BALLOONS! as well as church groups, and company parties. 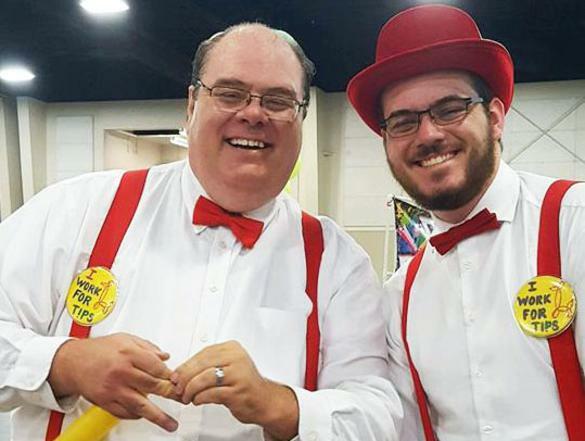 Anthony and his son Jeremy also twist balloons with other professional twisters at large events such as the Days of '47 Parade Preview Party, Draper Days, Cottonwood Heights Easter Hunt and Hidden Valley Country Club. In addition to being a professional magician, Anthony is also an expert balloon artist! You can also add balloons as a grand finale to any magic show! other toys the kids will love!